Over a hundred years of “Conditorei & Café Lauterbach” in Cottbus: over one hundred years of shared local history seen through a café window. Lauterbach does not just stand for first-class award-winning pastry, cakes, coffees and original Cottbuser Baumkuchen (German layer cake). Lauterbach is also a delight for the eyes and taste, fresh from the kitchen. From a varied breakfast, to our lunch offers and the enormous daily specials menu to romantic dinners, our cafés have something to offer for every taste. Let us spoil you! Assessed and awarded by “Der Feinschmecker” (2014 and 2018), Lauterbach is amongst the 500 best cafes in Germany. Let us spoil you in our restaurants! 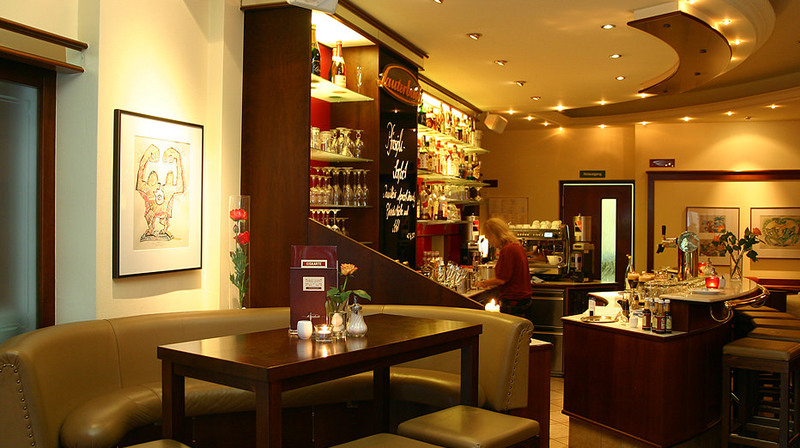 From the most lavish breakfast Cottbus has to offer, to the enormous daily specials menu to romantic dinners, Lauterbach doesn’t just stand for homemade coffee and cake! To complement our assortment of pastries from our own patisserie and our national and international food, we offer a wide range of various beverages at any time. 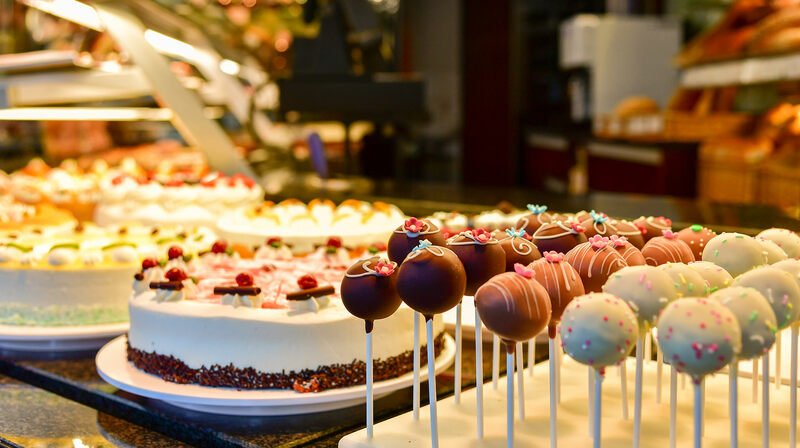 Our award-winning confectioneries, cakes and desserts are produced by professional, well-trained confectioners and fine bakers at our Lauterbach head office in the old town of Cottbus, using traditional and handcrafted workmanship. It is this quality of our products – and the myth of the café – which have made the “Conditorei & Café Lauterbach” famous far beyond the borders of Cottbus. The success of the cakes we produce is founded on the decades of experience and tradition held by our pastry chefs and confectioners. In order to keep this level of perfection, we provide for the training of young motivated people to become excellent confectioners in our café. We carefully select the raw materials for our products and only use those which meet our demand for premium products. A visible sign of this are the annual awards from the German Agricultural Society for our baumkuchen and stollen products. We gladly accept your table reservations on the telephone numbers below. Especially at breakfast time and in the evening, we recommend that you reserve a table. 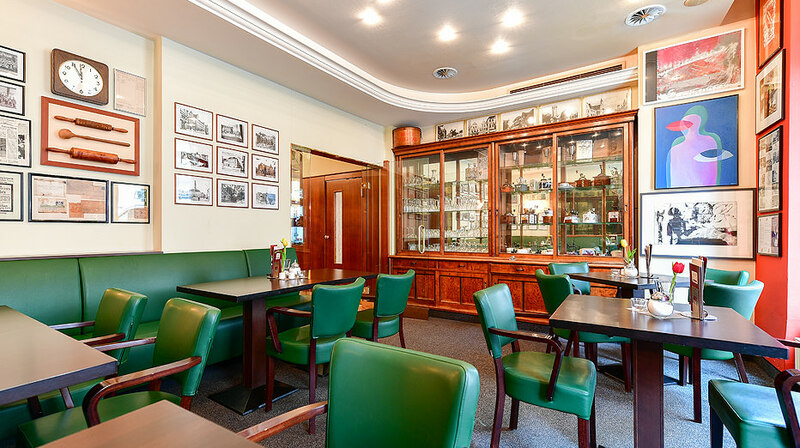 With its distinctive, charming style which doesn’t neglect the café’s traditions, our Lauterbach main café is in the centre of the old town of Cottbus. In the south of the city of Cottbus, located directly at the main station in the Fürst-Pückler-Passage, is our second and recently completely renovated Lauterbach.